£1025 covers your trip expenses, such as food, activities, and accommodation. During your time in Nepal you will assist people in the East region that live in poorly built thatched houses. During this build you will provide manual and technical assistance. 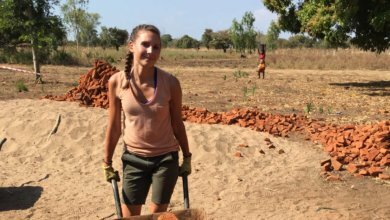 The materials that you will use to construct new homes will be bamboo and mud plaster, with brick foundations. Based in the Eastern region of Nepal, you’ll join a group of diverse volunteers in helping families build strength, stability and self-reliance through shelter. This is your unique opportunity to help families build their homes by raising vital funds and directly contributing to our work on the ground. Your days on the construction site, building side by side with the community, will make a real difference for families who need of a safe place to call home. Join a team of volunteers who share your passion for travel with a purpose and see what you can achieve. We build in Nepal because vulnerable families deserve substantial housing. We build real homes, which have the power to improve health and education, create strong communities and safety for vulnerable people, allowing them to thrive and not just survive. You’ll work alongside future homeowners as they build strength, stability and self-reliance through disaster resilient shelter. 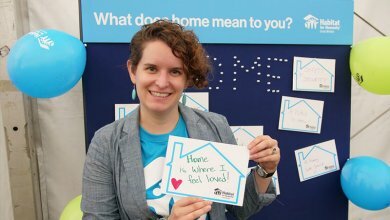 Volunteers are at the heart of Habitat for Humanity’s mission to create a world where everyone has a place to call home. Our volunteers are dedicated, caring individuals who embrace opportunities to make new friends, explore new places, and change the lives of others – and themselves – for the better. Become a part of our global community and the heartbeat of change. 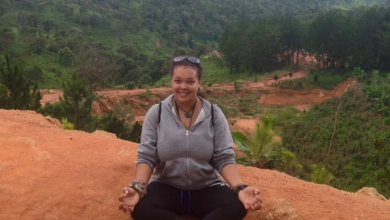 Kirsty is a dedicated Team Leader who is approachable, friendly, and ready to lead this diverse and dedicated team to Nepal.